Plastiblends India Ltd, a part of Kolsite Group of Companies and a manufacturer of masterbatches, is reportedly planning to set a manufacturing plant near Kolkata, West Bengal, to meet the growing demand of masterbatches – a key ingredient used in plastics – in the region. “In view of market potential and demand, the company has plans to further increase the manufacturing capacity and has acquired land near Kolkata, West Bengal to setup new manufacturing unit. The expansion will be funded mainly through internal accruals. The new manufacturing facility will be commissioned in phased manner subject to receipt of requisite approvals from statutory authorities,” said Plastiblends India Limited in a BSE filing on March 1, 2016. To diversify its product range and boost sales, Plastiblends has been focusing on high performance and specialty masterbatches. In addition to its existing manufacturing facilities at Daman and Roorkee (Uttarakhand), Plastiblends, which supplies colour & additive masterbatches, is in process of building a new production plant in Surat (Gujarat). 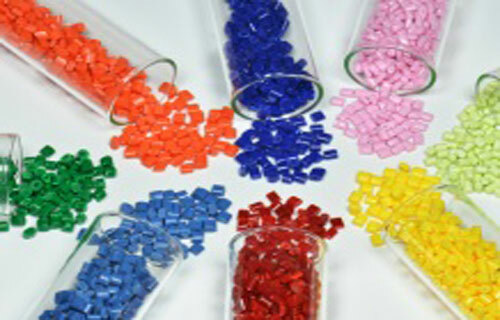 Masterbatches, which are key ingredients in successful product formulation for plastic industry, are concentrated mixture of pigments & additives which are used by plastic processors to enhance the performance properties of the end product and also help reduce cost of the end product. These are generally sold as white masterbatches, black masterbatches and colour masterbatches etc. Increasing use of plastics in agriculture, packaging, automobile, consumer goods etc is driving the demand for masterbatches in the country. The commissioning of Brahmaputra Cracker and Polymer Limited’s petrochemical facility in Assam and upcoming polypropylene plant of Indian Oil Corporation Ltd in Paradip (Odisha) are likely to give further fillip to plastics industry in the Eastern region.